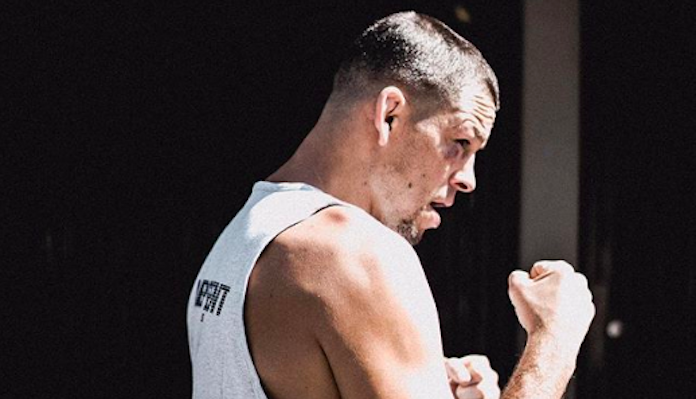 Nate Diaz is currently booked for a lightweight showdown with top contender Dustin Poirier. The bout is expected to serve as the co-main event of UFC 230, which is scheduled for November 3 in New York City. 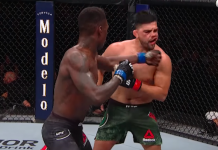 While this has been the plan some time, Nate Diaz and Dustin Poirier have both recently expressed interest in fighting in the UFC 230 main event — for the inaugural title of a currently hypothetical 165-pound weight class. Dustin Poirier was actually the first person to propose this idea, but Diaz quickly got on board too. 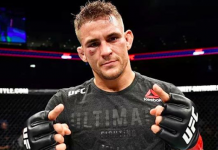 “What about me and Nate for the 165lbs belt?” Dustin Poirier said on Twitter. 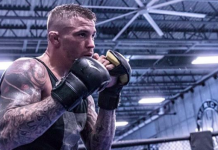 While both Nate Diaz and Dustin Poirier seemed to be down with this plan, the plan seems to have hit a bit of a snag. 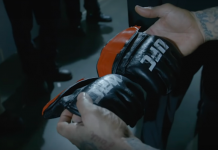 First, UFC President Dana White said, flat-out, it isn’t happening. And now, Nate Diaz says the UFC told him Poirier doesn’t actually want to fight at 165 pounds. If that’s the case, the Stockton native says he’s bailing on the card and we’ll see him next year. Poirier, of course, is refuting this claim from Diaz. Shortly after Diaz published his Tweet, Poirier issued a response, assuring that he’s absolutely down to fight for the 165 pound title. 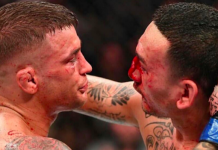 Do you think we’ll see Dustin Poirier and Nate Diaz fight at UFC 230? If so, which weight class do you want to see them fight at? 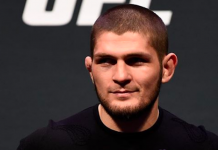 This article first appeared on BJPENN.COM on 9/27/2018.